A patented, cloud-based technology, ambit uses the power and versatility of smart mobile devices to connect an organization to its employees, wherever they are located. ambit boosts the operational efficiency of facilities and security management, while empowering employees and protecting lone workers. 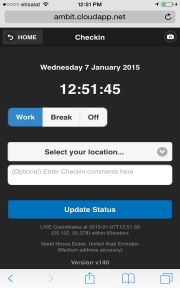 Suited to large facilities management teams and multi-site manned guarding, ambit provides a cost-effective time and attendance tool. ambit enhances the safety of staff with powerful lone worker protection functionality, enabling users to summon security or first aid assistance via a simple tap on their mobile devices. 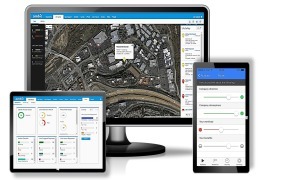 Pinpointing the exact location of where help is required, security teams are able to initiate a fast and appropriate response and dispatch responders where help is needed most. 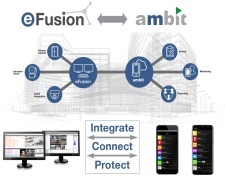 eFusion is our award-winning, modular security platform. With highly versatile open technology software, it supports over 60 off-the-shelf integrations. This gives you the freedom to efficiently integrate surveillance, access control, fire and intruder systems from top security vendors with back office processes, with less cost and complexity than conventional physical security information management solutions. First impressions count! How visitors see your organization when they visit your premises for the first time can be crucial. 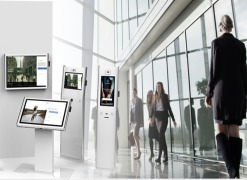 Visitor Point is a powerful visitor management system that makes it easy for reception teams and/or unmanned reception areas to know who is visiting your building. Whether you are looking for a simple system to replace a visitor signing in book or a more comprehensive solution to manage everything from visitor identity, pre-registrations,car park occupancy and much more, Visitor Point is the right choice. Ambit, the combined safety, emergency and operations management system, has continued to grow as more uses of the system have been recorded. Maxxess has decided to introduce Ambit for Education as a more focused solution for schools, universities and more. 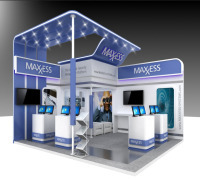 FOR MORE INFORMATION CONTACT MAXXESS SYSTEMS EUROPE LTD.